Over the last twenty years the acceleration of the internet and web sites has been critical in the development of thought and ideology in the new wave of Marxists now reaching the age of revolutionary activity and education. Studying theory and discussing it among comrades has never been easier. 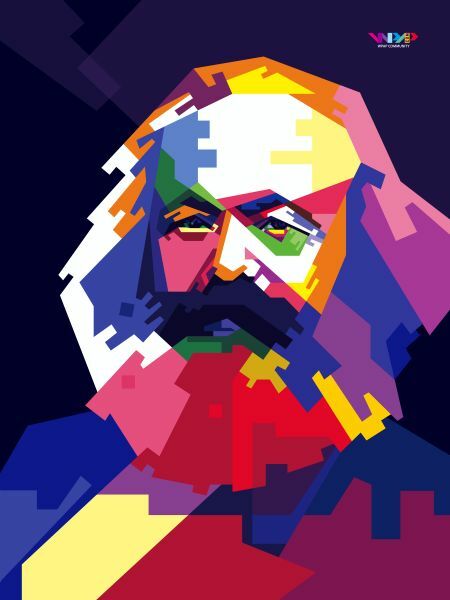 You can now discuss Kapital with hundreds of people around the globe, from every corner of the world, all in one chatroom. Every word Marx wrote, and every speech Lenin gave, is instantly available to us. There are entire web sites dedicated to dismantling the voice of the bourgeois state and reporting events from around the world in an unbiased stance, or from the viewpoint of the victims. All these factors have given birth to a new revolutionary character, a new vehicle for class-consciousness to grow, with anonymity and pseudonyms as a given. These keyboard theorists have become the forefront of the left in the eyes of youth, people like “Existential Comics” or “Socialism in One Society” on Twitter, and such are the voice by which many young people get a Marxist understanding of the modern world, such as the Syrian conflict or the Zionist occupation of Palestine. With all of this comes the idea of a “post-neoliberalism” idea of capitalism, which has been dubbed “late-stage capitalism” by the internet community, particularly Reddit. The increase in the gap between the classes and the centralisation of capital. Last year Colin Kaepernick became the centre of controversy when he knelt during the American national anthem to protest against the racial oppression of the Black community in the United States, in an action that was comparable to the Black Power salute given at the 1968 Olympic Games. Kaepernick became the subject of ridicule in America, and his protest, which was followed by numerous black players, caused outrage. This resulted in his career coming to a standstill, and a fine being introduced for any players who refused to stand for the national anthem. Nike then used the image of Kaepernick and this protest to try to turn a profit by appealing to the majority in America who had supported him, all the while using sweatshops and enslaving the colonised southern hemisphere. On-line communities have claimed that the first major instance of this characteristic was the game of Monopoly. This was invented by a socialist, Lizzie Magie, in an attempt to show the flaws of capitalism and the danger of imperialism (monopoly capitalism) and was then bought and produced for profit by a monopoly company, Hasbro. These are some of the few glaring examples of this first characteristic. However, there are numerous examples all round the internet. The second characteristic is where my real question lies. Is late-stage capitalism a new phase, or is it merely the regression of welfare capitalism? Since the early 1990s capital has slowly been stripping back the concessions it made to labour throughout the twentieth century. The reason these concessions were made in the first place was the fear of an uprising like that of 1917, with the USSR as a constant reminder to capital that the workers can and will overthrow their oppressors if the material conditions are there for them to do so. This led the ruling class to do everything in their power to stop those conditions becoming a reality. Health services improved, the working week became shorter, wages increased. The conditions of workers have remained stagnant in the last thirty years, while inflation has boomed. Rents have increased exponentially, while wages have seen very little growth. In the United States the cost of living, though it varies from state to state, is on average about $15 per hour; yet the average minimum wage averages only $7.50 per hour hour. The cost of living is double the minimum wage; yet union membership is still at a record low figure. This is an example of capital taking advantage of not having a major threat to deal with, as it did throughout the twentieth century. As the gap between labour and capital grows larger and larger, as the issues of society become a means by which profits can be made, and as the internet continues to breed a new revolutionary character, the discussion on “late-stage capitalism” will continue, more and more questions will be raised, and new theorists will attempt to answer them. Will this be a new phase in capitalism, or is it neo-liberalism rebranded? We should most certainly keep an eye on these developing theories and see if they can provide any new tactics for organised parties to adopt.